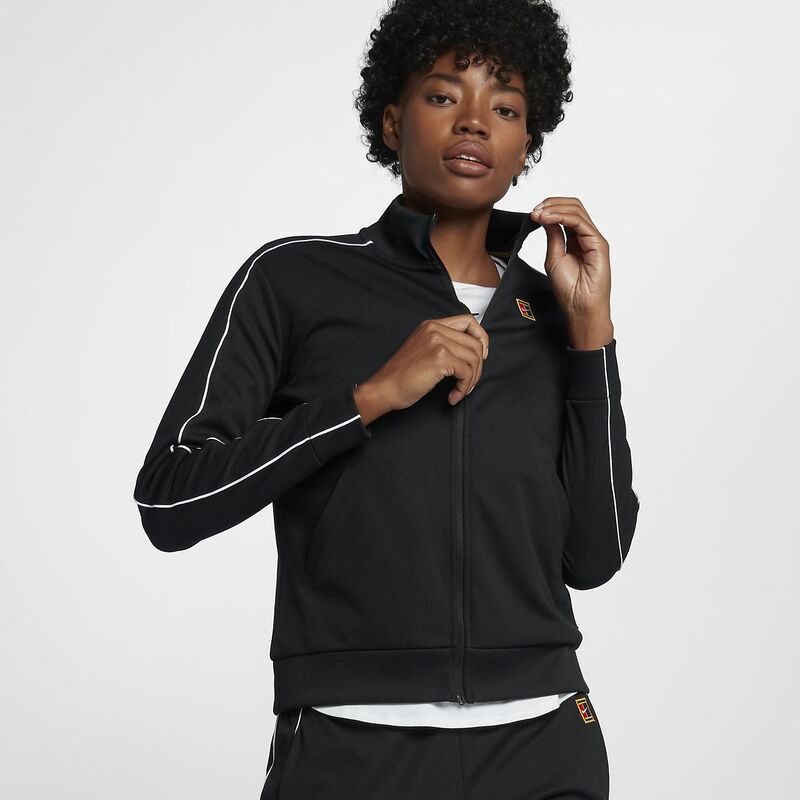 The NikeCourt Women's Tennis Jacket features lightweight knit fabric with ribbed closures for comfort on and off the court. A high collar and full-zip closure help block out the chill. The NikeCourt Women&apos;s Tennis Jacket features lightweight knit fabric with ribbed closures for comfort on and off the court. A high collar and full-zip closure help block out the chill.